In 2000, Andrew P DuBois was wrongfully convicted of a March 31 sexual assault that did not occur. Andrew has always maintained his innocence, and although the state offered him a plea deal on a “Driving While License Suspended” charge in which he would serve 6 years, he chose to fight the sexual assault charge.The only evidence against Andrew is the witness who alleged he sexually assaulted her. However, other witnesses of events that night do not corroborate her allegations. Additionally, Andrew has been proven innocent by DNA as well as a PDD (extensive polygraph test). The state’s witness alleged that Andrew P DuBois took her against her will to his home and attacked and raped her on March 31 of 2000. Despite physical evidence and examining doctor’s testimony, no sexual assault occurred. The testimony of 2 state witnesses that do not corroborate the alleged victims stories. The state’s withheld DNA evidence that clears him and breaching an agreement that when in favor of Andrew, state will drop charges. A Bloomington Detective violated Andrew’s Miranda Rights in a video interrogation. 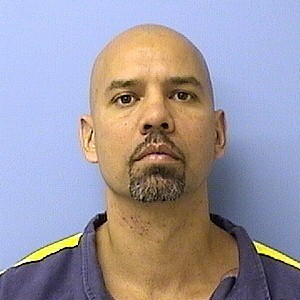 On May 24, 2012, Andrew passed a PDD test (poly) which satisfied the Illinois Department of Corrections of his innocence. The state’s witness’ testimony was impeached due to the use of psychotropic drugs and large amount of alcohol during the night in question and the use of psychotropic drugs while at trial.